The Holden Racing Team has marked its return to Bathurst's Mount Panorama circuit in style by celebrating the 30th anniversary of Peter Brock and Larry Perkins' famous win in the 'Last of the Big Bangers'. The iconic racing team, which has taken seven wins at Bathurst, has brought together two of the sport's most revered racecars - the 1984 Holden Dealer Team Holden VK Commodore and the 2014 HRT VF Commodore. The 1984 HDT Holden VK Commodore is the last of the Group C touring cars - which had been part of the then-Australian Touring Car Championship (ATCC) since 1973. The following year would see the category run under international Group A regulations. At Bathurst that year, Brock/Perkins started from the front row, and took the fastest lap (then-lap record) en-route to securing the Holden factory team's first one-two result - with John Harvey and David Parsons in the second VK Commodore. Similarly, the 2014 HRT VF Commodore is the pride of the V8 Supercars grid, and also features a 5-litre V8 engine and striking livery. However, while the dayglo beauty has taken three victories so far this year - in Adelaide, Townsville and Ipswich - Bathurst presents a special opportunity for HRT to secure Holden's 30th win there, and the first for the VF Commodore. For four-time Bathurst winner Greg Murphy, the HDT VK Commodore was that initial spark of inspiration that led him to a successful motorsport career in the world's most competitive touring car Championship. "It caught my imagination, watching the two HDT VK Commodores dominate at Bathurst like they did," said Murphy, who was just 12 years old at the time. "That was the very moment that I needed to know more, see more, understand it, follow it and be a part of it. So to see them together is awesome." 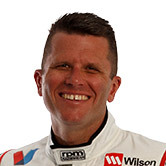 Tander, a three-time Bathurst winner, hopes the presence of both cars is a good omen for Sunday's Great Race. "The VK is a significant car in Holden's Bathurst history," Tander said. "It was the Last of the Big Bangers, and a serious racecar. So to have our HRT VF Commodore right next to it, with both cars featuring a stunning dayglo livery, is fantastic. Hopefully some of the luck and greatness has transferred across." 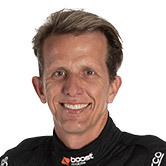 Warren Luff, reigning Pirtek Enduro Cup Champion, who will drive alongside Tander in the #2 HRT Commodore, is excited to be part of the celebrations. "I was always a Holden Racing Team and Peter Brock fan growing up, so to see these two Commodores together is very special for me," Luff said. "When you think of Bathurst, you think of Holden's 29 wins there. To be able to achieve the 30th victory driving for the official factory team in a VF Commodore would be a dream come true - nothing better." 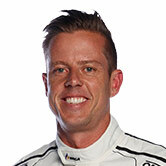 HRT driver James Courtney, who was runner-up at the last round at Sandown with co-driver Greg Murphy, said he's also keen to hit the ground running. "Holden's history at Bathurst speaks for itself, and I feel very proud to be part of the official factory team," Courtney said. "It's also a credit to everyone at HRT that we're here as one of the favourites for the win on Sunday." HRT's VF Commodores will be out on track tomorrow for practice, the first session for the V8 Supercars beginning at 11.05am AEST.